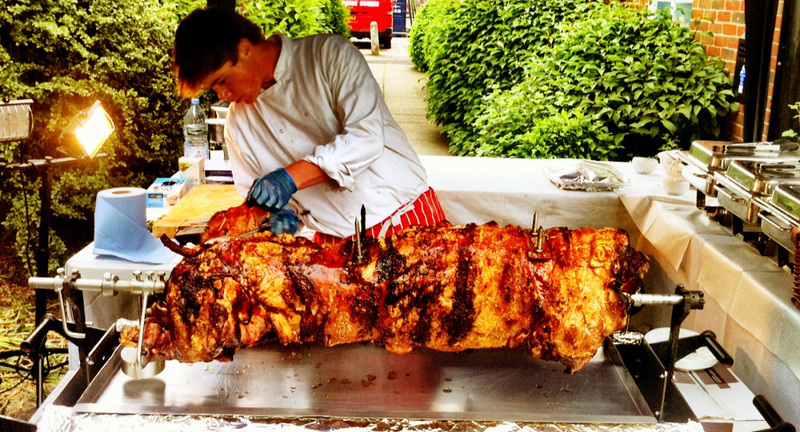 When choosing the hog and spit roast caterer for your chosen event – its important to ensure that the company you use is reputable, reliable and excellent value. 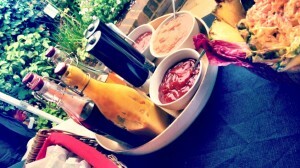 In these areas we absolutely shine as event caterers. Having grown up in and amongst the hog and spit roasting trade, there are few things that we do not know about when it comes to providing our clients with perfection at their hog roast Bury events. By always ensuring that the ingredients we use are sourced in the most fresh and ethical way, the food which ends up on our clients plates could not be better. For us it is an absolute necessity to use great produce; as this not only gives us the ability to roast meat which we feel is up to scratch, but also allows us to really showcase the food as it cooks. So sit back and relax as we roast our pigs infront of your very eyes, from its raw state. As this cooking process continues over the course of a few hours, us and our team of qualified chefs will prepare any other dishes and accompaniments which you, our clients, have stipulated; once again, always from a raw state and fresh as can be. We are proud to offer our clients a broad range of menu options, nowhere is this more clear than in the wide and diverse range of whole meats that we offer to our clients. Therefore, at your next hog roast in Bury, choose from whole pigs, whole spring lambs, whole chickens, turkeys and loins of beef – flame roasted to perfection. Avid chefs, Maira and I are always looking for new and exciting ways in which we can improve our services; an aspect of our services which keeps our clients and customers always coming back. By approaching all of our hog roast Preston events with dedicated professionalism, we have allowed the people of the North West to enjoy food that beats any restaurant – hands down! Along with all of our varied menus and catered services which we offer, our enterprises include the option for our clients to hire a hog roasting machine from us. This facility is one that many of our clients love – from Wigan to Clitheroe and back again! Great for getting involved with a fun and enjoyable process, this service further underlines our commitment to providing our clients with excellence at their hog roast event. Easy to use and always reliable, once you turn the machine on you can simply recline and relax whilst the machine does the hard work. Spitting Pig North West is owned and operated by myself Dave and my family, we have over 20 years experience of catering and spit roasting there is nothing much we have not cooked or any event that we have not catered for. Based just off the M60 motorway we cover all over the North West of England. Before Spitting Pig became a franchised business, I worked for the parent company as the operations manager I organised all the events taking place daily all over the UK and also went out catering myself every weekend. We now just look after our own area, the North West, our commercial, trade and private customers are growing week on week, and have done ever since we started. Unlike other outside caterers, we are totally self sufficient, and arrive at your venue with absolutely everything we will need to do your catering. Meaning that wherever your event, whatever your menu, we can cater for you at the highest level with superb attention to detail. This is another reason why our customers keep coming back again and again. We now have a total of twelve hog roast machines, which are out there almost every weekend cooking pigs across the North West. We work very closely with other local companies, meaning that even if your request is something that we are unable to do, we will almost certainly be able to put you in touch with the right people. 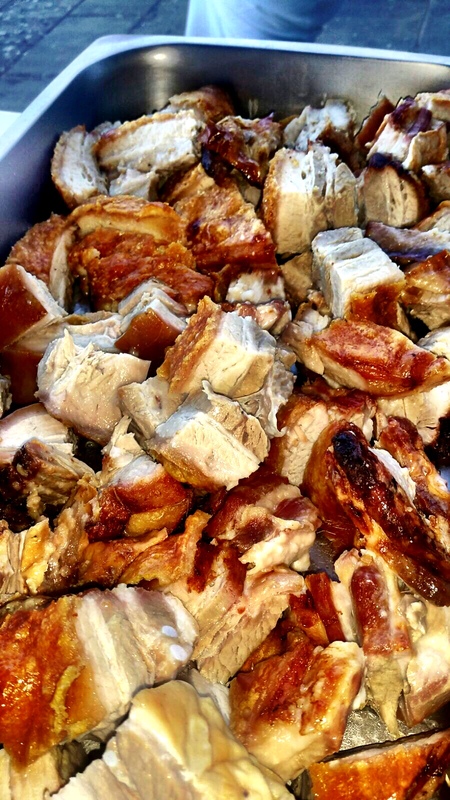 If you choose us to be your caterers to provide a hog roast in Bury, you will benefit from an extremely efficient, high class, experienced service that is second to none, and excellent value for money. So what are you waiting for call today for a free no obligation quote. If you choose us to be your caterers, you will benefit from an extremely efficient, high class, experienced service that is second to none, and excellent value for money. So what are you waiting for call today for a free no obligation quote. Here at Spitting Pig North West, we take delivering a great service very importantly indeed. Whether you are considering using our catering services for your special event, hiring a hog roast machine so you can do the cooking yourself or maybe even considering buying your very own pig roasting equipment, you can be sure of a thoroughly professional service at all times when you deal with Spitting Pig North West. Of course, we are perhaps best known in the north west region for helping people put on some spectacular events and if you like the idea of making your event equally special then there is just one thing you need to do and that is to get in touch with the people who can make it happen…which means spending a few seconds filling out the contact form. That is all it takes to get the hog roast ball rolling. If you are still undecided about the catering for your special event then maybe you need a little reminder of just how great hog roast can be for your special occasion and how it really can lift an event to a whole new level. 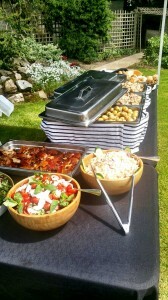 Hog roast is fast becoming one of the most popular catering solutions in all corners of the United Kingdom. 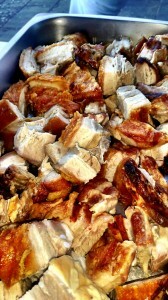 People have really taken to hog roast and are loving the versatility and freshly cooked flavours. The dedicated and friendly Spitting Pig North West team are here to help you enjoy the magic of hog roast and to make your special event an especially tasty event, too. If you are still thinking that you could easily cater for your event for a lot less money then of course, you are probably right, but as with any form of cost cutting, something has got to give and when you compare hog roast to other simpler catering solutions, there really is no competition. You need to remember what goes into the preparation and cooking of a hog roast to realise just how special hog roast really is and why it tastes so amazing. It really is light years ahead of standard, boring and bland old catering solutions. Don’t forget that going the whole hog, you will actually be supporting north west farming because each hog roast uses a locally bred animal, and a very good one at that. But it’s not just keeping things local that count. Each pig is carefully selected so that it will give you and your fellow diners the very best in flavour. Now you will have read elsewhere on this site about the benefits of slow roasting but it may help you make your mind up if I go over the basics once more, because this is something you probably will not benefit from with any other form of catering. Slow roasted meat is the very best way to get the ultimate in incredible meat flavours and it is the absolute best way for you to enjoy hog roast meat, which seems to be ideal for this way of cooking. Slow roasting is process of cooking the meat over a number of hours and creating as much flavour as possible yet retaining that all important juiciness within the meat. Sounds easy doesn’t it? Well, it’s not and that’s why you are always best bringing in the hog roast Preston professionals to do the job. They know what is needed to create the perfect pig and they know that those six long hours that it takes to cook the pig will be time well spent. The results are going to be incredible and your guests are going to be over the moon when they sample the amazing tasting meat. It really is something else. Still not filled in that form yet? Well let’s consider the wedding packages we offer. If you are after making a statement on your special day then there are many ways to do just that. Some couples organise a lavish and over the top entrance to the church, others wear outrageous outfits…but we believe there is one fantastic way to do something special that will guarantee it is a day to remember and that is to have a gourmet hog roast meal. It really will make that special day even more magical. Incredible flavours, the most helpful catering people in the region, a totally professional solution and memories that will stay with you forever. Spitting Pig North West is the answer to all your catering questions, so all you need to do is fill in the form and send us your information.